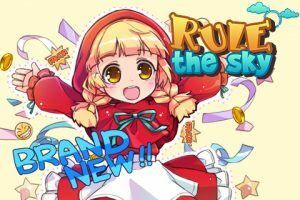 Rule the Sky is JCE”s revamp of the original Rule the Sky. 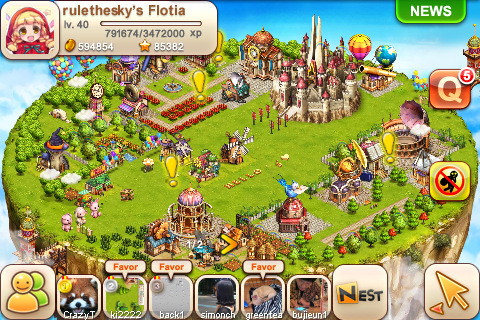 It is a social city building game, heavy on the social, where the player takes charge of a floating island. 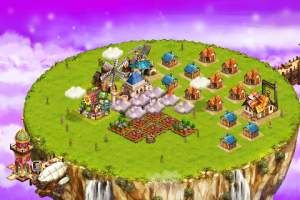 As with any city building game, the point is to improve the island by farming, building and questing. 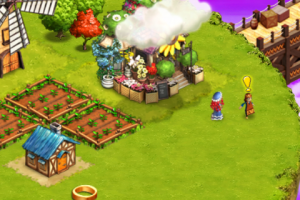 The game play is a mix of farming, city-building and RPG. 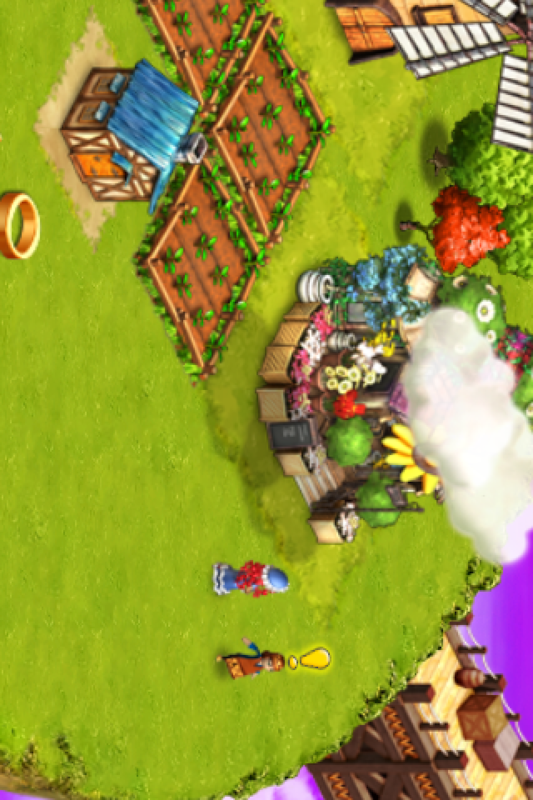 Crops are grown to raise currency, and grow at certain rates and must be collected before they die. 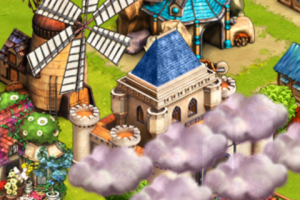 The buildings take time to be built, they bring in rent, and friends can “help” out at those buildings. Quests are given by the NPCs, and give experience for leveling as well as coins. These quests, especially for the first ten levels or so, walk the player through each little step of building, buying and growing, dictating exactly what is built on the island. 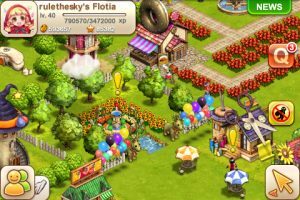 As a result, all the islands look alike for the first dozen levels, unless currency has been purchased with real money and the island can be dolled up more. This hand holding of the quest line is smothering at times, and takes away much of the joy of the city building aspect of the game. In addition, many quests can”t be completed without access to friends” islands. The social aspect of this game is extremely important. JCE has their own social network, Nest, and the player has to log in and play using casino online Next, or not play at all. 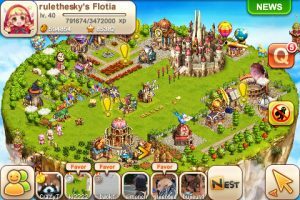 Despite the heavy emphasis on the social aspect, there is no option to find a random friend using Nest, or to visit a random island. One either has friends and can complete the quests, or the island building experience is stunted. The look of Rule the Sky™ is pleasing, with anime influenced graphics, NPCs that walk around on the island and the ability to pan in and out. There are some cute animation elements as well, such as the rain clouds that float over. These clouds can be dragged to any location and tapped so that they will rain. Also, the game uses the players location to determine night or day for the island. The developers state that if it is raining in the real life location, it will rain on the island as well; I haven”t had any rain to test that feature yet. 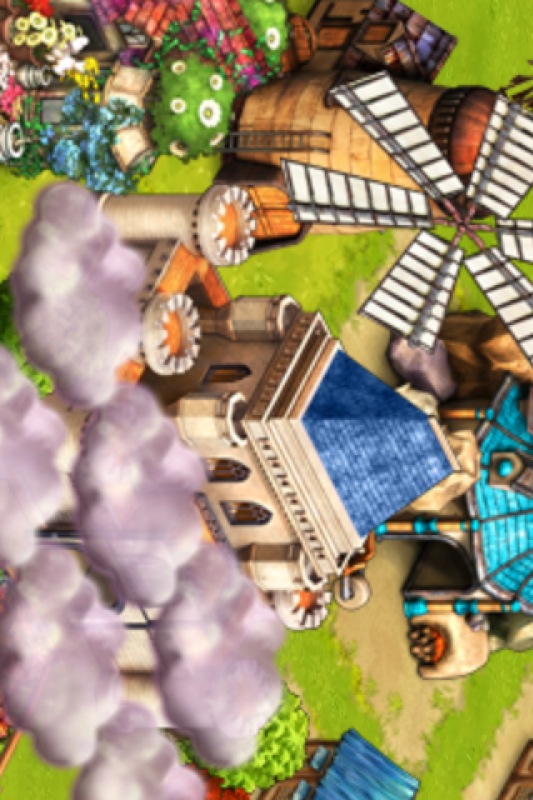 Bottom line:Rule the Sky™ looks good, but plays like most other city building games. Those not into social networking will want to give this a miss; those with lots of friends that game too will find Rule the Sky an enjoyable social building experience. 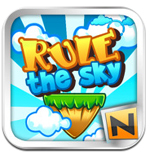 Rule the Sky is compatible with iPhone, iPod touch, and iPad. Requires iOS 3.1 or later.